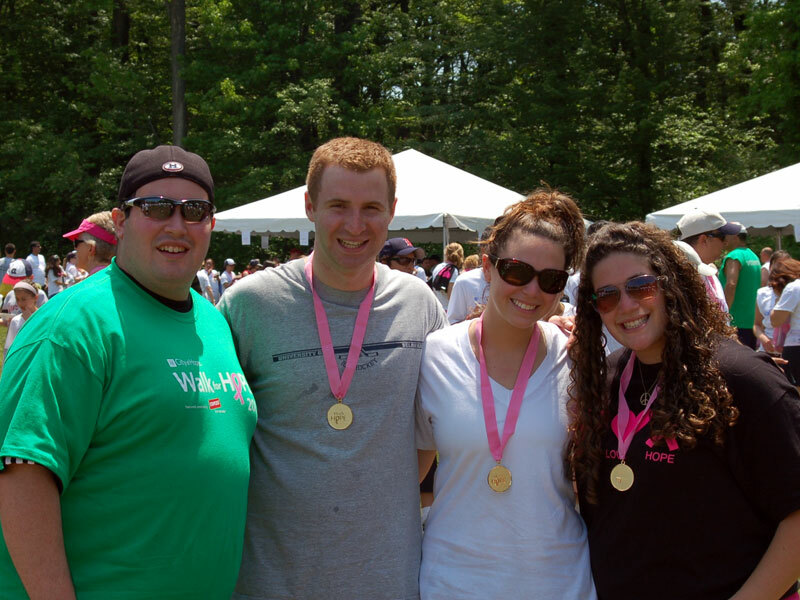 A fund-raising walk begun 10 years ago as a bat mitzva project to benefit breast cancer research is now on the verge of reaching a new milestone: reaping a total of $1 million in donations. 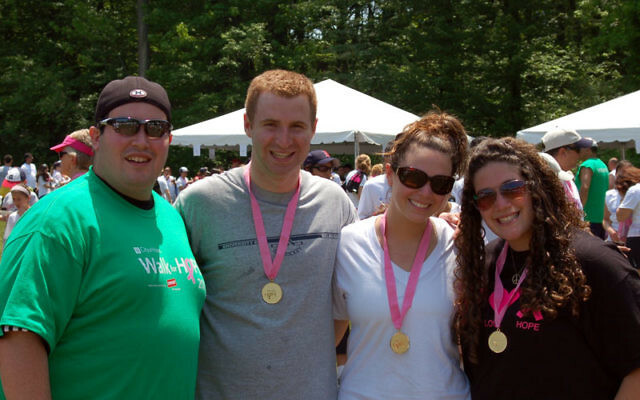 As she now prepares to graduate from college, event founder Janna Zuckerman of Edison said the community has rallied to the cause to make this year’s Michelle Offsie Memorial Walk on June 5 almost certainly the most successful yet. Zuckerman launched the annual walk — part of the Walk for Hope of the City of Hope research, treatment, and educational institute — in 2001 as her bat mitzva tzedaka project and in memory of Offsie, a close family friend and the bookkeeper at the JCC of Middlesex County, who had died a few months earlier of breast cancer at age 46. In the ensuing years, the walk, from the JCC in Edison to Congregation Neve Shalom in Metuchen — where Zuckerman became bat mitzva — has become one of City of Hope’s largest suburban walks. The walk features a host of vendors, radio coverage, local and corporate sponsorships, and an international food display. Zuckerman has always focused on recruiting other young people to the cause, and at least 15 schools and a number of local government leaders will also participate. “This event really brings together our Edison community and surrounding communities,” she said. A family studies and community development major at Towson University in Maryland, Zuckerman has received an executive recruitment and education scholarship from the Jewish Federations of North America; she will attend graduate school at the University of Maryland while simultaneously attending Baltimore Hebrew Institute to earn a certificate in Jewish communal work. She has received many local awards in recognition of the Offsie Walk and other volunteer activities, including being selected from among 24,000 applicants nationwide to receive a Prudential Spirit of Community Award.